model:RJSJ-6-60. Dimensions: 500 * 800 * 1500 (mm) weight:50KGS. The fog amount of per hour:120KGS. Displacement: 120 (cc). Intelligent the tobacco curing resurgence machine revolutionized the resurgence of tobacco, taking fully into account the new features of bulk curing barn, the use of piston pumps and high-pressure nozzle fog theory, to simulate the effect of natural fog, further improve tobacco fineness andquality. The machine combines the advantages of domestic and foreign tobacco resurgence machine, per hour, the fog of up to 120Kg, improve production efficiency. 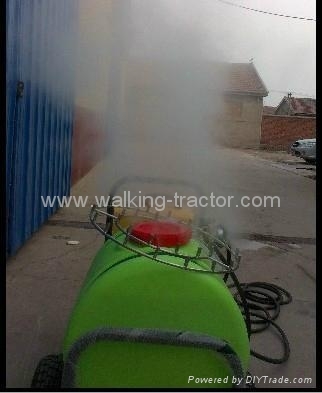 The device is a mobile resurgence equipment, flue-cured tobacco room with a cost-saving, the spray module with soft-type high-pressure pipe connection, can be free-standing, suitable for any type of barn and classification of tobacco leaves room, truly a machine can support multi-, convenient and practical, to avoid duplication of purchase. Cooling: outdoor restaurants, entertainment venues, stadiums, sports grounds, airports, bus stations, large gatherings, hotels, farms animals cool. 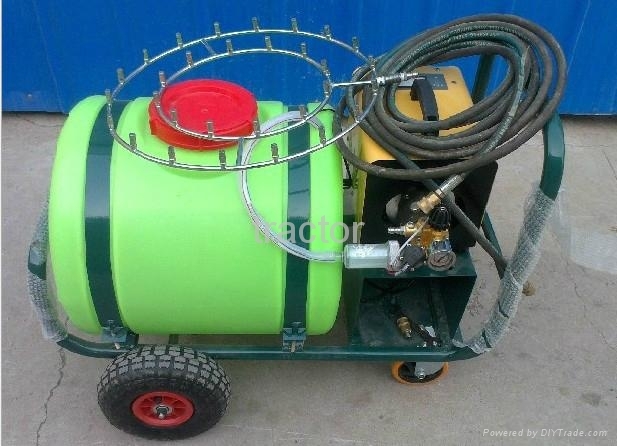 Dust: clear the air of dust particles main application farm mines and other pollution control. Agriculture: for family farms, mushroom cultivation farm, circus arena, aviary kennel and feeding farm environment suitable for the growth of poultry. Industry: machine shop, machine shop, textile shop, clothing shop, printing and dyeing shoe plastic heat casting, injection die casting, glass spraying, electroplating, electronics, chemical metallurgy leather, toy manufacturers, appliance manufacturing is used to cool the dust can also be used to eliminate static interference. Special use of premises: garden, zoo, shopping centers, exhibitions, cinemas, flowers and breeding livestock mushroom room humidification cooling can also be used as a plant irrigation. 7 special use: liquid disinfectant added to the water, botanical gardens, greenhouses, farms, zoos, golf courses and other disinfection.